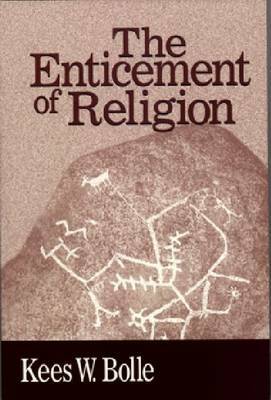 In The Enticement of Religion, Kees W. Bolle has written an accessible and informative introduction to the basic facts of religion and to the ways scholars and other people have dealt with religion over the centuries. Bolle's central purpose is to provide a serious, in-depth study that will introduce students and other general readers in a way that makes sense of religion and religious events in the world. Part one of the book focuses on the facts of religion and covers such topics as the object and task of the historian of religions, the correct usage of words like "faith" and "tradition", modes of religious expression, and the social and political impact of religion. Bolle raises basic, yet not often discussed, questions such as "What is Religion?" and "What are the Religions of the World?" The second part of the book provides a historical survey of Western intellectual approaches to religion. Starting with the Greeks and progressing all the way to the twentieth century, Bolle explores how writers and scholars such as David Hume, Friedrich Schleiermacher, Soren Kierkegaard, Ludwig Wittgenstein, Joseph Conrad, Charles Peguy, and many others have influenced our judgments on religion. Written in clear, jargon-free prose, The Enticement of Religion will appeal to anyone interested in understanding what religion is and why it is important to know something about it.